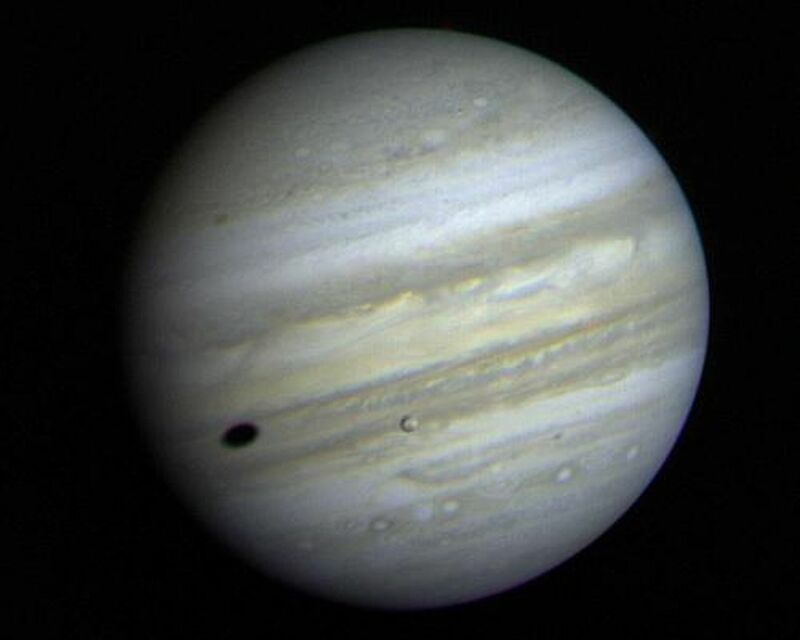 Jupiter's satellite Io poses before the giant planet in this photo returned January 17, 1979, from a distance of 29 million miles (47 million kilometers). 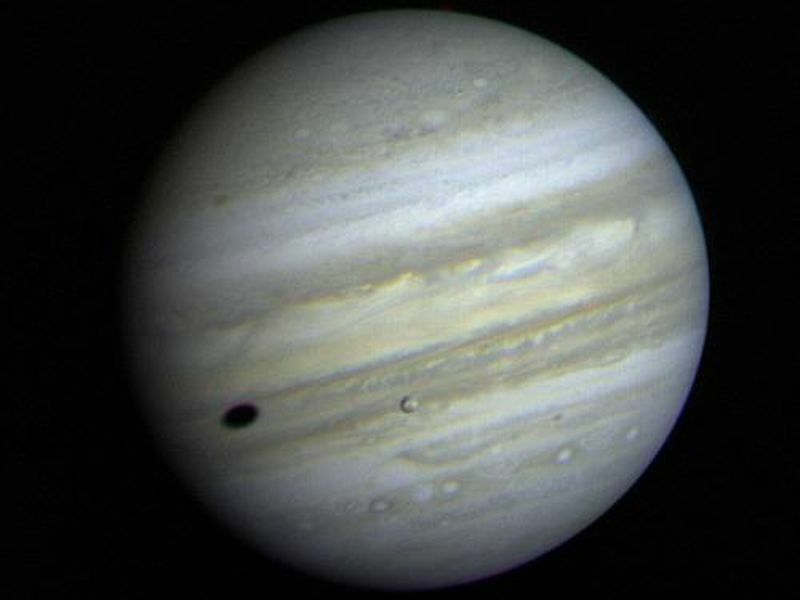 The satellite's shadow can be seen falling on the face of Jupiter at left. 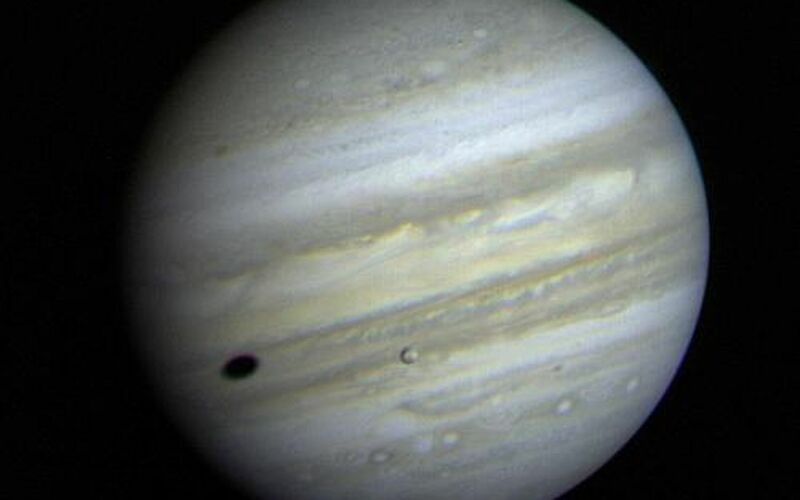 Io is traveling from left to right in its one-and-three-quarter-day orbit around Jupiter. Even from this great distance the image of Io shows dark poles and a bright equatorial region. 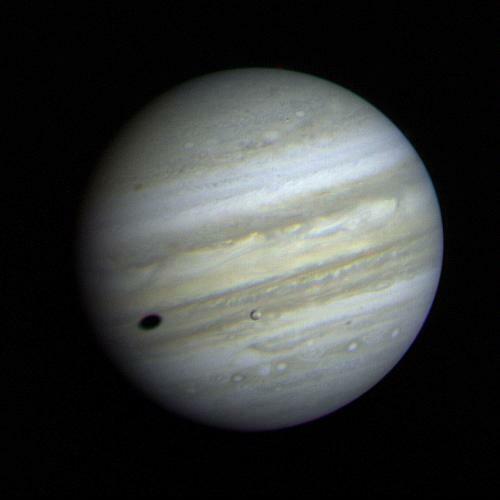 Voyager will make its closest approach to Jupiter -- 174,000 miles (280,000 kilometer) -- on March 5. It will then continue to Saturn in November 1980, Meanwhile Voyager 2, a sister spacecraft, will fly past Jupiter July 9, 1979, and reach Saturn in August 1981. This color image was taken through orange, green and blue filters. The Voyagers are managed for NASA's Office of Space Science by Jet Propulsion Laboratory.